We could only be a few days away now from the unveiling of the next version of the Android operating system and some new hardware for it to run on. 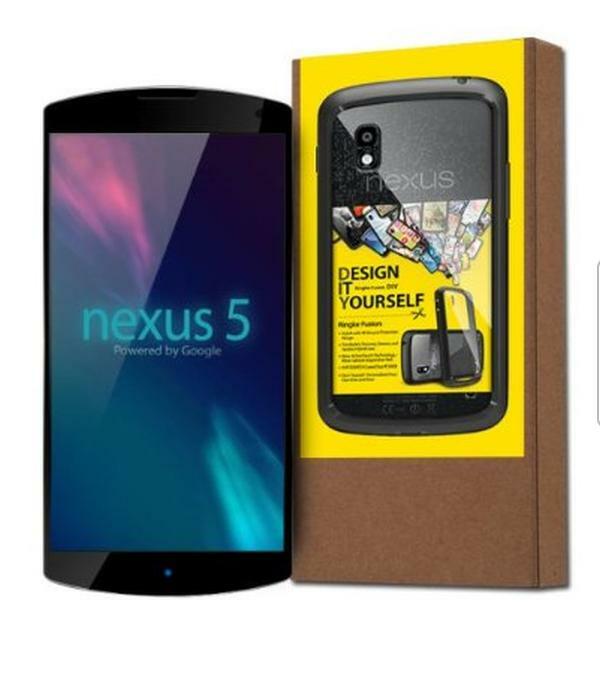 We now have news of another Nexus 5 case listing that shows the design of the smartphone and a date. About a month ago we saw a listing for a SPIGEN Nexus 5 case over on retailer Amazon’s website, and now there is another case being listed this time on Amazon’s Italian shop front that is showing the case that you can see on this page. As you can see the device is shown next to the packaging for the case and it has a release date of October 30th for the accessory. This doesn’t confirm that the Nexus 5 will be available then as it could quite easily be some guess work by the retailer, but it is fitting in with other leaks that have been appearing for the upcoming device. This news comes after we saw some possibly cleaver teasing by Nestle and Google about the arrival of the Android 4.4 KitKat update. Strong indications were pointing towards a release of October 28th following some clever marketing by both companies. So if the handset is released or unveiled on that date this listing could be correct, and we recently heard rumours that the price of the Nexus 5 could be slightly higher due to the fact that the will be a new version of the Nexus 4 released with 4G LTE compatibility.